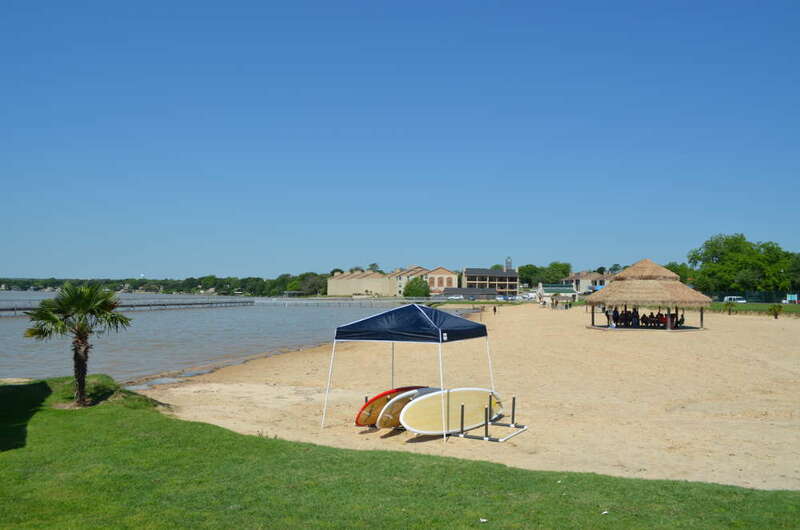 Granbury City Beach is located off of Pearl St (Business Hwy 377) near downtown Granbury, Texas. This little beach open to the public and free to use. Spending the afternoon on the beach is a wonderful way to spend the day. 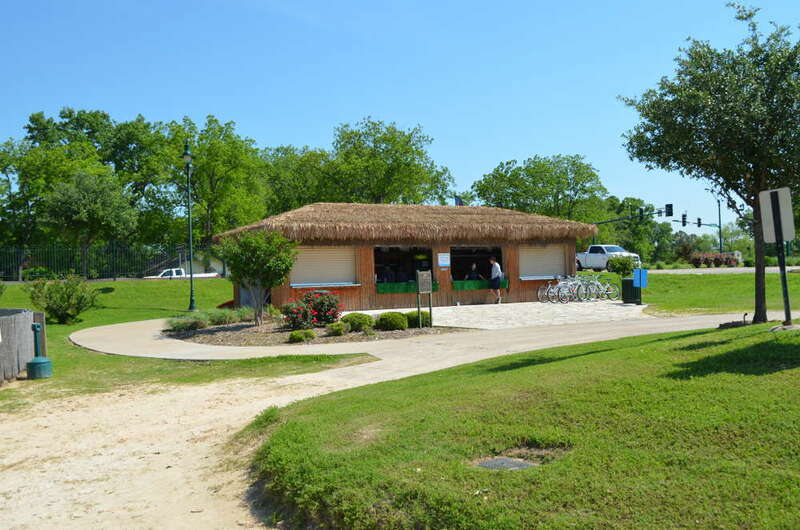 Kids and families can enjoy some beach time with picnic tables and tiki huts right on the beach. There are only a few tables and they do tend to fill up early. For other fun, there are bicycle rentals and stand up paddle board rentals available beachside. This can be a fun way to explore the lake and get some exercise at the same time. The beach is pretty small at around 100 yards long. 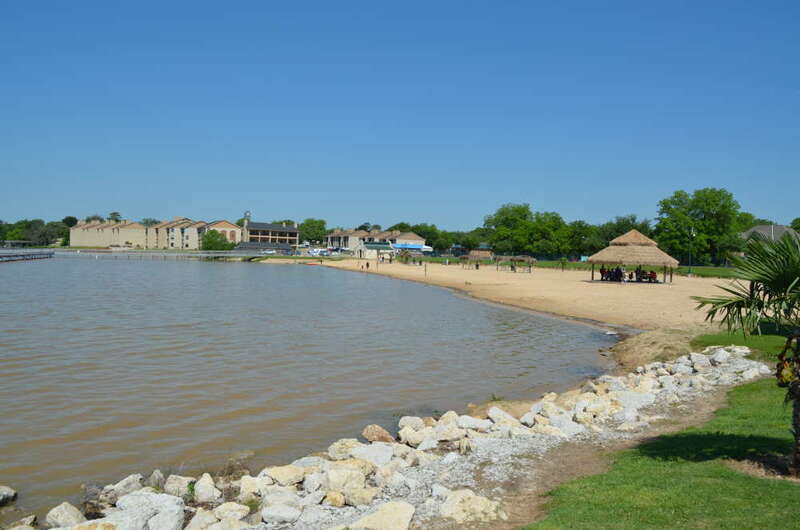 There is a long walkway that extends into the lake and provides a barrier between the swimming area and the main lake. 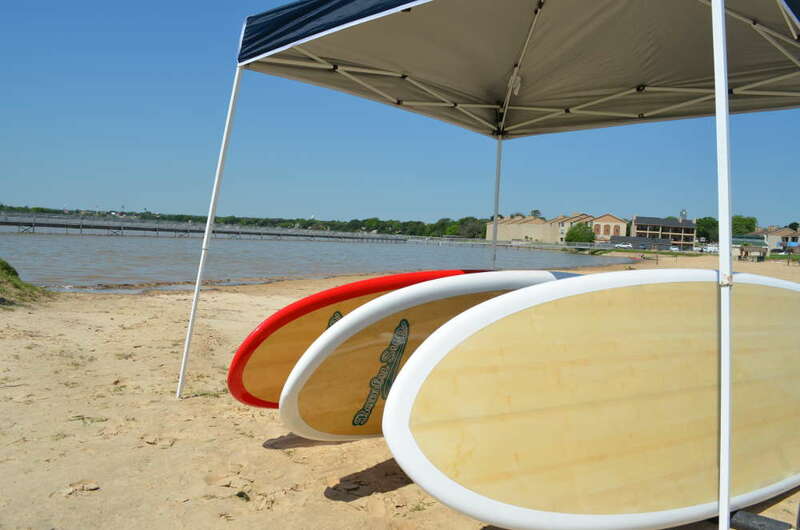 The bicycle rentals and standup paddle board rentals are available from Waterside Sports. There is a little rental shop right next to the beach. To reserve your rental or find more information you can visit WatersideSports.net.